What would happen if Martians landed on Earth—and none of our weapons could stop them? H.G. Wells's timeless masterpiece—which spawned many a movie adaptation—imagines this frightening scenario. The horrifying bug-like extraterrestrials, which can wipe out entire crowds with a single heat-ray and poisonous gas, first appear in the English countryside ... and then wreak havoc. Narrated by an unnamed protagonist who flees home to seek out safe ground, this terrifying tale creates a shockingly realistic vision of what might happen if fearsome, technologically superior aliens attacked us. 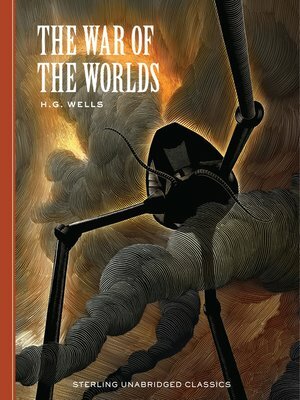 Beautifully illustrated by acclaimed artist Scott McKowen, this Unabridged Classic will rivet kids and adults alike.